888 Sport is among the oldest sportsbooks in operation today, having been in business since 1997 and online since 2008. This sportsbook maintains an excellent reputation in the industry, and has sponsored a number of major events over the years. 888 Sport is listed on the London Stock Exchange and licensed in Gibraltar. With reliability not in question, let’s move on to covering the specifics of what bonuses, banking, interface, and customer service. 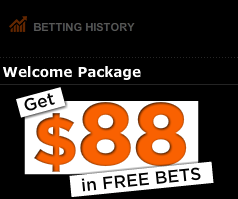 If you are ready to get started with the 888 Sportsbook, look no further. Here is your Fresh beginning. New customers are immediately eligible for a £88 free bet bonus, with no 888 Sport promo code needed to claim the offer. These funds are distributed in increments of £10 each, spread over the first seven bets. On the 8th bet, the final £18 bonus will be added to the players account. Other attractive promotions includes 20 free slot spins when a bettor places their first bet, a free £5 bet after three bets have been placed using a mobile device, and a free £888 bet to the 888th bettor of the day. New bonuses and promotions are offered each week, so bettors will want to monitor the latest offerings so as not to miss out on these extra perks. Deposit options include Visa, MasterCard, Moneybookers/Skrill, PayPal, Neteller, wire transfers, and more. These can also be used to withdraw profits. The lowest minimum deposit is £5, which is extremely reasonable. 888 Sport does require that identity verification be submitted prior to the first withdrawal. This is a requirement that is put in place by regulators. EWallet withdrawals are usually received within 1-2 days, while credit card withdrawals typically take 2-3 days. Bank wire transfers take 5-7 days. It is possible to request withdrawal via a check, but this is the slowest withdrawal method. Expect to wait 10-15 days to receive a mailed payment. The 888 Sport interface is easy to navigate and is arranged in a manner which makes it very easy to place bets. A wide range of bets are available, including singles, doubles, accumulators, Trixie, Heinz and many, many more. In addition to nearly every sport imaginable, casino games are available, along with extras such as poker, backgammon, and even bingo. New users may fell that some of the website pages are too cluttered, but there really isn’t much that can be done about this due to the sheer number of wagering options available. It really should not take long to become familiar with the layout. 888 Sport representatives can be reached by clicking the “Contact Us” link on the website and submitting a message. Emails can be sent directly to: support@888sport.com. Response times are reasonably fast when emailing in, but for faster response times during business hours, phone support is the better option. Country-specific phone numbers are provided for several major countries, as well as for all other locations. The only thing missing is Live Chat, which would be a nice addition for those who would rather not email or call the support team. Overall, this sportsbook is a solid option for all types of bettors, especially those who like to play in the bigger markets. Bettors can feel confident that all winnings will be paid out as agreed, so long as the necessary identification has been provided and the payment method verification process completed. Live betting provides plenty of interesting wager options, and certainly gives bettors the chance to earn more. The one drawback is that betting limits are a possibility, but these are not in place for everyone. Lastly, no 888 Sport promo code is needed to take advantage of the many different bonuses offered year round, making it easy for players to get started with some nice extras.